Gestalt Community Schools select OpenDNS Enterprise to ensure that students and faculty receive continuous protection from inappropriate online content and Internet threats. OpenDNS Enterprise allows us to spend our time focusing on the needs of our students, not chasing down malware issues. OpenDNS, the world's largest Internet-wide security network - making the Internet safer, faster and more reliable for more than 50 million people everyday - today announced Gestalt Community Schools are using OpenDNS Enterprise for comprehensive malware protection and Web filtering. Gestalt Community Schools, a vibrant community of scholars and teachers working to create educational opportunities in struggling Memphis, Tenn. communities, join 1 in 3 U.S. K-12 public schools using OpenDNS to keep kids safe online. In order to ensure the most comprehensive strategy for keeping staff and students safe online, the Gestalt Community Schools IT team was seeking an additional layer of Web filtering and Internet security to implement on the district’s local networks. Because the charter school system is dedicated to fostering a digital learning environment, the team was also searching for a way to prevent malware from penetrating the network and disrupting the learning process. 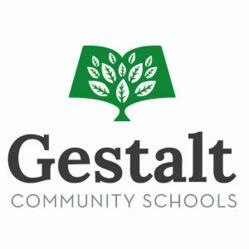 Additionally, because Gestalt Community Schools are planning for substantial growth, the organization required a scalable, cloud-based solution that could accommodate their rapid expansion.